A live state TV broadcast captured the moment of a blast that hit a church in the Egyptian city of Tanta on Sunday. 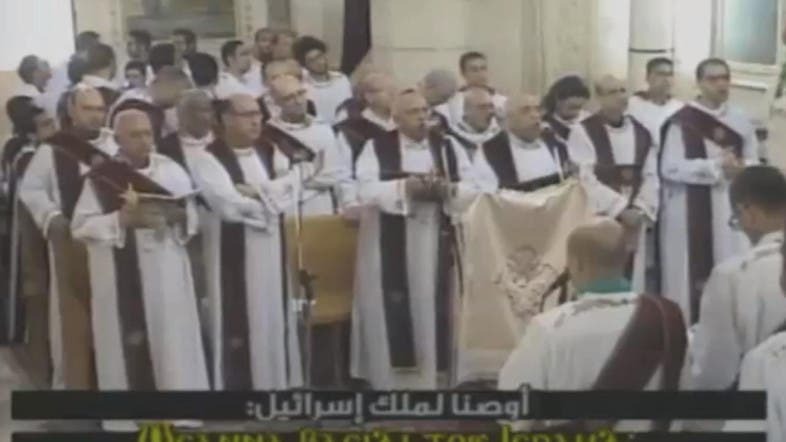 The broadcast shows members of Egypt's Coptic Christian community marking Palm Sunday inside the church, before abruptly ending at the moment of the explosion. At least 25 people have been killed and dozens injured. There was no immediate claim of responsibility and the cause of the blast was not yet known.